If you have that spirit in you, the film family will sooner or later make a place for you. A combination of looks, talent and hardworking is the new entrant, Kashyap, who was seen dominating the silver screen in 2017 with his movies Love U Family and Sallu Ki Shaadi. Even if these two films couldn’t reach to the top position in the metro regions, they performed gradually well in tier 2 and tier 3 cities of India. Kashyap got immense appreciation for his role in Sallu Ki Shaadi, which he claims to have done because he is a die-hard fan of superstar Salman Khan. The movie was trending in both YouTube and Twitter. Kashyap is the son of Mahesh Barbhaya, famous as Mahesh Jolly. His father was a well-known technical person in the film industry and also a fashion photographer. By watching his father achieve his dreams in this industry, Kashyap grew up with similar ambitions. He showed his interest in acting and achieved that point now. 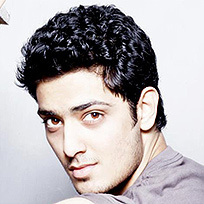 Kashyap learned acting from Roshan Taneja and completed his degree in Animation. He is a multi-talented with a keen interest in Martial Arts as well as dance. He has signed few new projects with various directors and riding high on his new success. Kashyap started working on his latest movie alongside veteran actor Anupam Kher. So Kashyap has gotten his foot in the bit door of films and started getting the acceptance and love from the audience that he always wished for. Hope that it only keeps getting better and better from here. PrevRyan School murder case – Juvenile treated as Adult. NextThe History and Time Line of disputes of Babri Masjid till today.